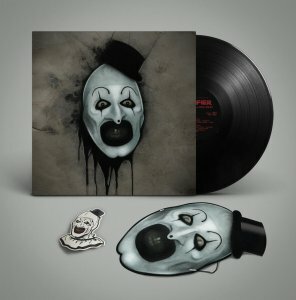 [ENDED] TERRIFIER 12″ OST Giveaway from Marilyn Manson’s Guitarist! To celebrate the release of TERRIFIER - out now on Digital HD and DVD - we are giving away the DVD and the official soundtrack, composed & performed by Marilyn Manson's guitarist Paul Wiley, on limited edition 12" vinyl! What is the name of Stephen King’s legendary tale centred around Pennywise? Email your answer, along with your address details, to comp@starburstmagazine.com labelled Terrifier before midnight on Sunday, April 22nd.